Cryonis Spa uses local and full body cryotherapy to reduce pain, cellulite, fatigue, and inflammation, improve jet lag, stress, menopause symptoms and also stimulate collagen, energy, boost fitness performance and recovery. Totally non-invasive, incredibly quick and effective, it seems the benefits of Cryotherapy are truly endless. 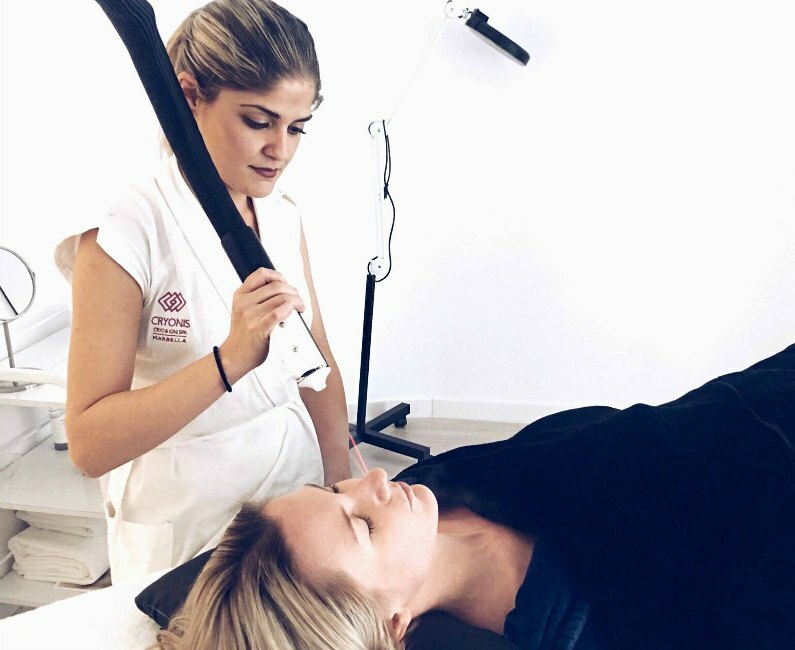 Already popular amongst wellness experts, elite athletes, celebrities and top executives around the world, Cryonis brings Cryotherapy technology to Marbella. 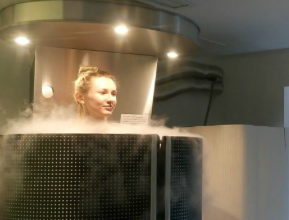 "Cryo" means cold and "therapy" means cure. So literally speaking cryotherapy is a method of using cold as a cure for an ailment. Developed in Japan in 1970, cryotherapy or cryogenics as it is sometime called, is a method of rapidly reducing skin temperatures or freezing to reduce inflammation.The technique has been used for years in Europe but has re-immerged in the limelight due to its popularity and wide spread testimonials on social media among American athletes, celebrities and wellness gurus. Inflammation is the mother of all evils. It is the root cause of almost all human ailments. If we reduce inflammation we can greatly improve almost any ache, pain, and cosmetic affliction. 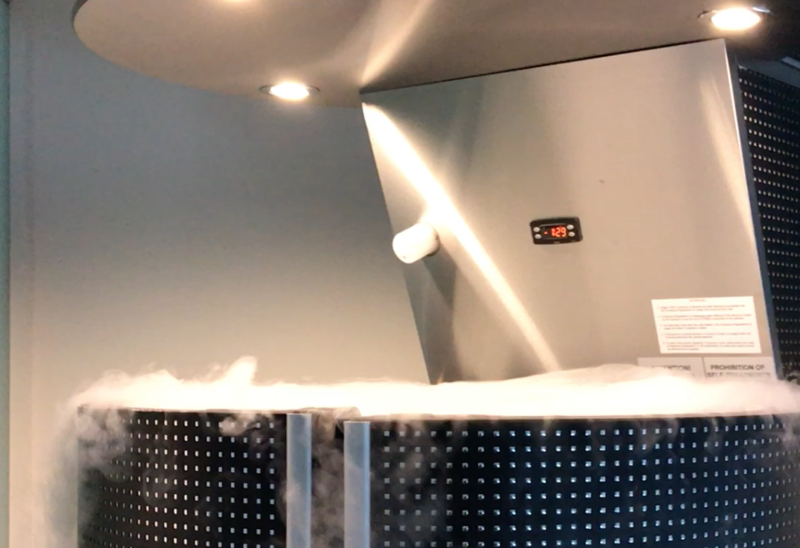 Cryo also reduces fatigue, brings focus and clarity of mind which is critical for athletes, top executives, frequent travelers or anyone who needs to recover quickly and stay on top of their mental and physical game... all-the-while looking their best. Who uses Cryotherapy and why? A high stress lifestyle can take a toll on the body. Cryotherapy has become the go-to hollistic treatment for many people on the fast track who require fitness, health, metal focus, lifestyle balance and of course a glowing complexion. Cryotherapy boosts the immune system thereby reducing incidences of cold and flu and is the ultimate anti aging treatment. Professional athletes and pro teams are using it to reduce pain and inflammation to speed up recovery of: post work out soreness, injury and surgery. 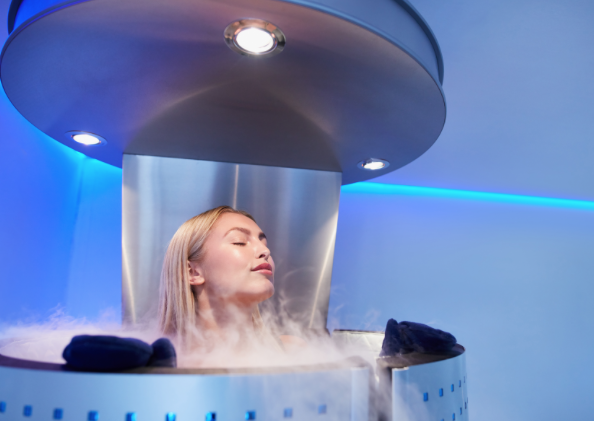 Some of the top athletes, executives, & celebrities who swear by Cryotherapy for health, anti-aging, fitness and wellbeing: Jennifer Anniston, Cristiano Ronaldo, Serena Williams, Jessica Alba, Kate Mosss, Tony Robbins... to name a few. Local Treatments: the hand held CRYO devices enables Cryonis to use similar technology as the whole-body sauna on a smaller localized scale. The targeted, local use of very low temperatures. Great for facials, and localized aches and pains including arthritis, tennis elbow and carpal tunnel syndrome. How can it claim so many health benefits? : Blood flow and metabolism are increased and hormones are pumped rapidly around the body, which encourages benefits such as cell renewal, strengthened joints and reduced inflammation. What does cryotherapy feel like: Although called a "sauna" it feels a bit more like a cold air "jacuzzi" because cold air and cold steam swirl around and your heads sticks out of the cryo chamber. It is very refreshing and exhilarating. An added bonus is that cryotherapy is super quick, an excellent choice for those on the go... no time?...no problem. Cryonis gets extra points for the all in one treatment that saves you time.